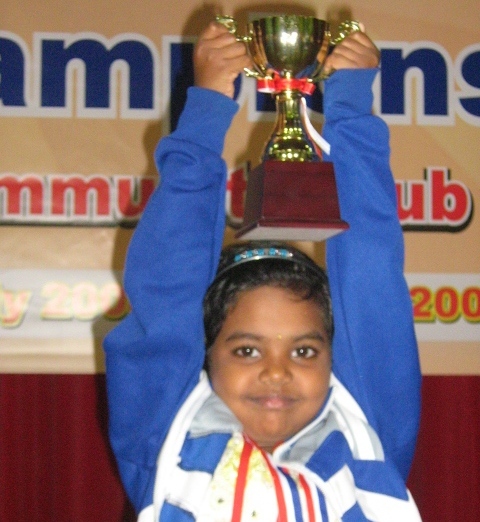 Bansi Prathima is an extraordinary young player from India who had won nine gold medals in various junior competitions held over the last two years. She is currently a class IV student of Railway Girls High School, North Lallaguda, Secunderabad. At the age of 8 years, she visited Antalya, Turkey, for World Youth Chess Tournament in the year 2007 where she won Gold Medal for Best Youngest Girl. 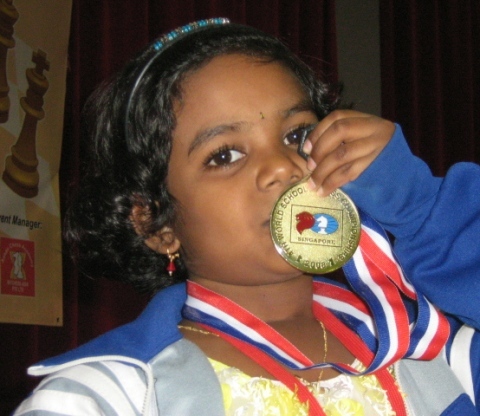 Next was Kandy, Srilanka for Asian Schools Chess Championship on January 2008 where she took another Gold Medal, followed by Singapore for 4th World School Chess Championship where beside the Gold Medal she also earned a title of FIDE Candidate Master. 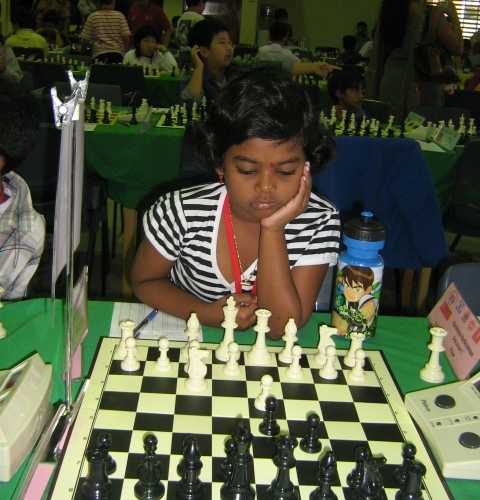 Commonwealth Chess Championship 2008 held at Nagpur, India, was another trophy in the U8 category and immediately after she was a member of the Indian expedition which claimed Team Gold Medal at the World Youth Chess Championship 2008 in Vung Tau, Vietnam. 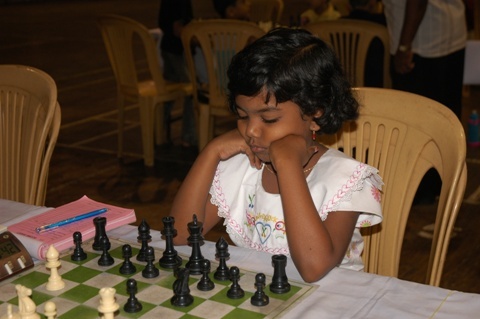 Numerous national titles include first places at the U9 Andhra Pradesh Chess Championship 2007, 22nd National U7 Boys and Girls Championship 2008 at Nagpur, C.S.SHARMA Memorial FIDE Rating Open Chess Tournament 2009 in Delhi and 23rd National U9 Boys & Girls Chess Championship held at Chennai this June. Sri D.V. Ganesh is coaching Bansi Prathima from the very beginning onwards, even from the stage of placing the pieces on board and explaining the basic moves. Without his efforts and guidance it would not be possible for her to achieve so many titles and medals. Her father is working as Personnel Officer in South Central Railways, Hyderabad (Indian Railways) and her mother is a Doctor by profession. So far there is no sponsorship from any side.